Suhani Si Ek Ladki 27th April 2016: Soumya was walking with Yuvaan, Yuvaani comes and gets him separated for walking with her mother. Soumya tells her to play with him. A lady comes and asks Soumya for the phone’s charger for Suhani. Yuvaani insists Soumya to show their family picture. Saurabh and Yuvraaj were in a conversation where Yuvraj shows his sadness of not getting the contract for Yuvnani and Krishna. Saurabh tells him not to worry as once he meets Yuvani, his all tensions will wash away. Sharad spotted them talking. Yuvraj calls Dadi and asks about Krishna. Dadi keeps on doing the wrong talks about her claiming that she broke glass flask. Yuvraj tells that he will get a new one. Menka goes annoyed after listening to them. Suhani ironically honors Yuvani and says your Mom is the best. Yuvani appreciates her and asks her to explain it to Yuvaan also. Suhani conveys her that everyone’s Mom is best for him/ her. She gives her a rose and asks to meet her best MomYuvani answers she is nearby, and her name is Soumya. Suhani says she read that in the form and advance to meet Soumya. She went to Soumya but mistaken her with some other lady, who wears similar saree like Soumya. The woman invites Suhani to come for the evening game as Yuvani’s dad is also coming there. 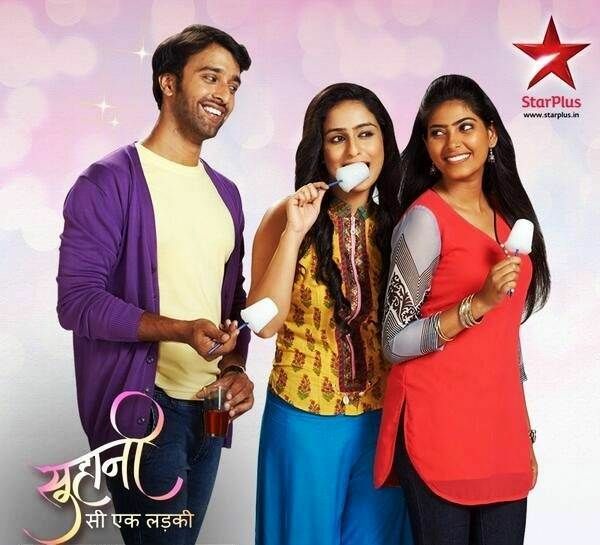 She asks her about Yuvaan’s dad, and Suhani tells that she is his mother and father as well. Sharad was on his way recalling an encounter with Yuvraj. Krishna calls Yuvraj and requests him to return the house soon. The maid brings food for Krishna and Pritma try to make her eat the food by fondling her. Yuvraj comes to the camp and informs Soumya about the contract. She tried to make him relax more and informs her about the evening game. Yuvani was fighting with a guy claiming that her mom is the best, Yuvraj calls her, and they had a hug. Yuvaan cheers up for Suhani and she tried to kind of teach him. As She gets blindfolded, Yuvaan meets Yuvraj. Lady says game begins; parents will identify children now, every parent gets blindfolded. Yuvraaj and Suhani strike and stop realizing each other’s presence.Sharad comes in between and takes Suhani from there. Yuvraj removes the eye cover. Next articleCheck jeemain.nic.in, cbseresults.nic.in for JEE Main Results 2016 [Declared] – Check your result Now !